Always Have A Valentine – 365 days of the year! Like most cat lovers, you probably consider your cat as a member of your family and already have developed a deep bond. Bonding with another being, whether human or four-legged, is one of the best feelings in the world. The unique bond between cats and humans is awesome to behold and even more incredible to experience. Each day brings new pleasures, just by living side-by-side with your beloved companion. – Greet your cat face to face and exchange scents by patting your kitty. – Keep your hands out of the way with a nervous cat until she has relaxed (especially if you are unsure if human hands have always been a loving presence in her life… not all cats are lucky). Touch is very important – remember to be gentle. – Give your kitty short, but frequent bouts of attention to keep both of you fresh and keen for contact. – Use your cat to relax after a hard day at work or vigorous activity. Stroking slows the heart and lowers blood pressure. – Chat your worries away and confide your secrets – your cat will never tell and is sensitive to your moods as well. – Enjoy a loving cuddle to restore self-esteem and a feeling of calm. – Indulge in giving kitty the odd treat for no reason and revel in the feedback you get! – Provide kitty with a warm, safe bed (if she is not already using yours). Did you make or purchase a kitty bed that is not being used? Move the location – remember the location is key. The bond with your cat has no limits and the rewards are equally limitless! These awesome cats have been waiting in TCR foster care for a while now – adopt one, so you will always have a feline Valentine (or two, or three! )… all year round! Calling all cat lovers, old and young! We have volunteer positions open for all of you! TCR has partnered with PetSmart with the purpose of using the on-site adoption centers to showcase all our beautiful kitties. All TCR has to do is supply the kitties to be shown off and supply the volunteers that go in and care for them. We are really in need of volunteers in the Trinity Commons PetSmart. Trinity Commons PetSmart is conveniently located at the 410 and Bovaird, in the Trinity Commons Mall. If you have a couple hours a day free to spend some time rubbing paws with our kitties then let us know! Mornings, midday, afternoon and evenings are all great times to hang out with a TCR cat! You can play and cuddle with the cats, as well as making sure they have fresh food, water, bedding and litter. Don’t be shy, the kitties are waiting – just for you! Fill in our Volunteer Form today! Read what some of the volunteers of Trinity have to say about the cats that they have cuddled in-store: “Adopt Rescues“. 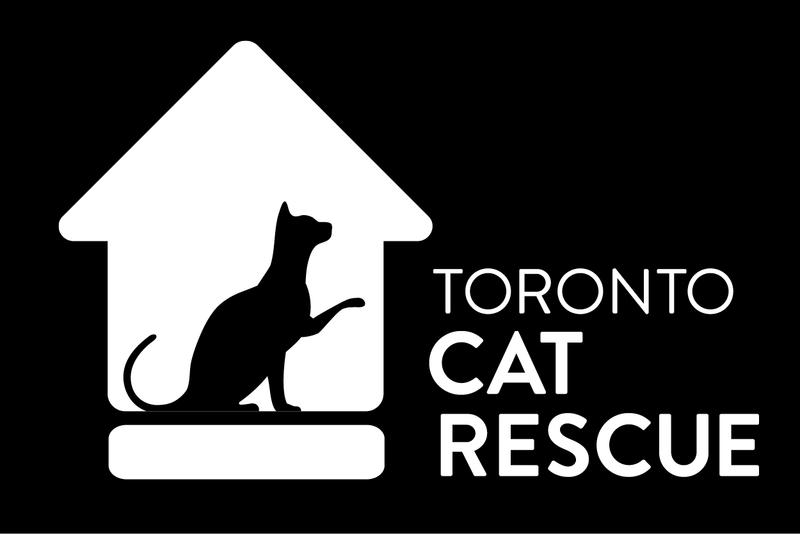 Toronto Cat Rescue has been awarded the 2010 Readers Choice Best Rescue Award from The Toronto Pet Daily! A BIG thank-you to all our volunteers!! In 2010 we had 1,685 happy adoptions! Cheers to many more in 2011!